- Amsterdamsche Football Club Ajax is printed on the back of the collar. 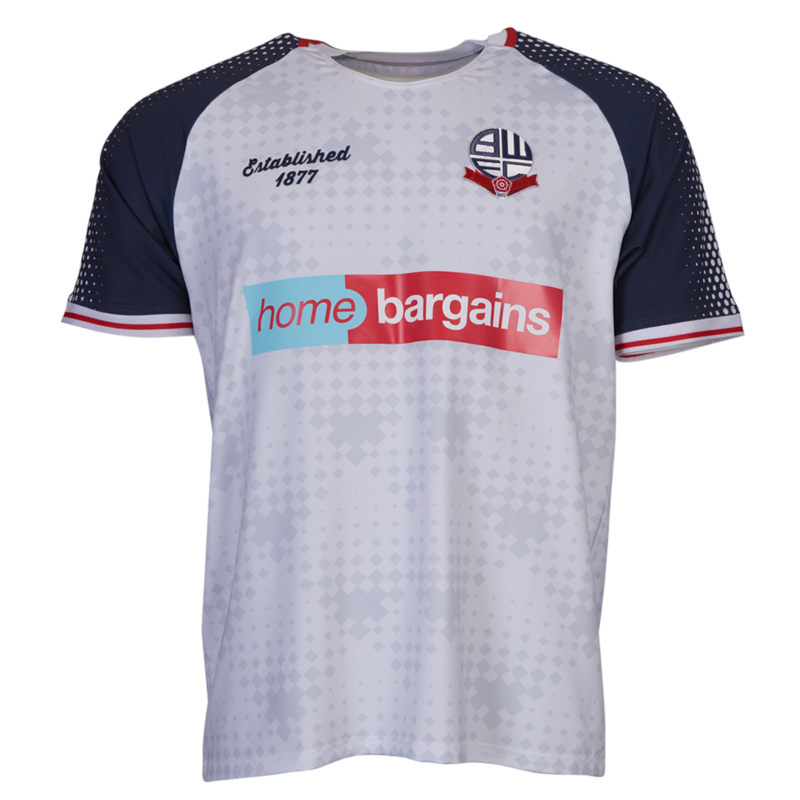 The standout feature of this shirt is the cross that is strewn across the front of the shirt. I believe it's a nice addition to the standard Adidas template. The combination of colours works fairly well in my opinion. The club is one of the five teams that has earned the right to keep the European Cup and to wear a multiple-winner badge; they won consecutively in 1971–1973. 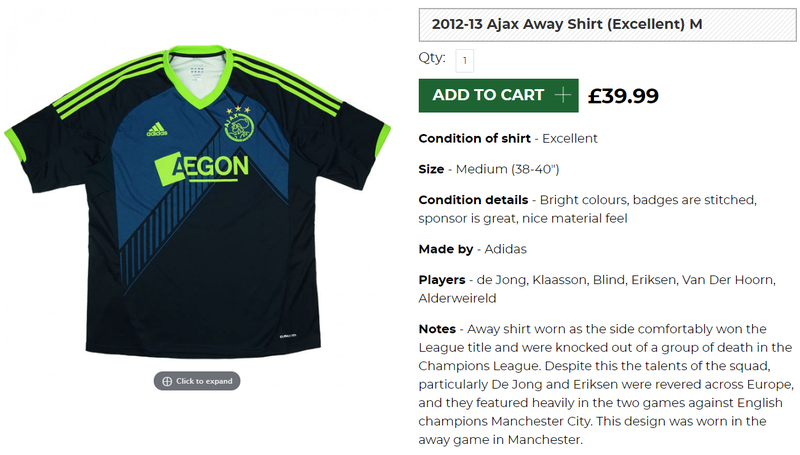 If the above has given you some inspiration to buy an Ajax shirt then why not buy one of theirs from this season. Clicking on the photo will take you to the retailer.